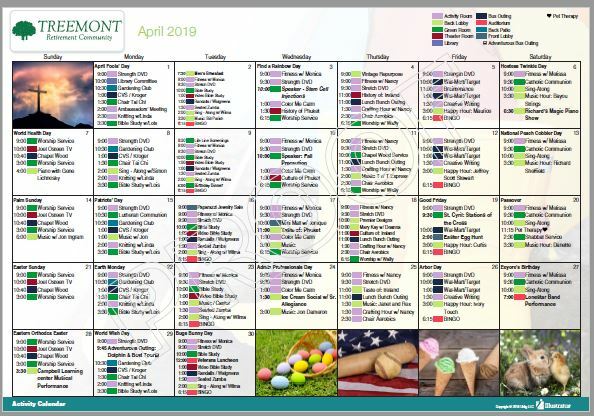 A robust activities calendar is key to resident happiness in assisted living facilities.The program provides an outlet for residents to engage with other senior living residents and to continue to expand their knowledge and interests. Treemont has activities for its diverse residents ranging from professional entertainement to bingo to arts and crafts, gardening, worship services, bridge, creative writing, excercise programs and more! 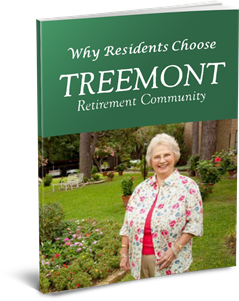 Visit for lunch but also join an activity to better understand the benefits and joy of residents who participate in the activities programs offered at Treemont. For a full-sized printable copy of the calendar, click here. For a full-sized printable copy of the newsletter, click here.